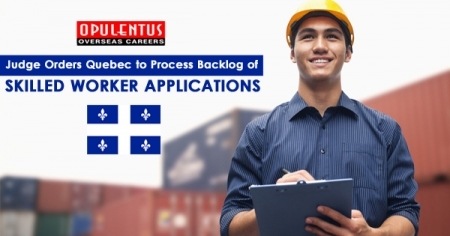 A Quebec judge on 25 Feb 2019, ordered the Quebec government to resume processing current applications below the Quebec Skilled Worker Program. The decision appears after the Coalition Avenir Quebec try to suspend 18,000 existing appeals while it works to establish its latest immigration law. Bill 9 would see the appeals canceled collectively. The new bill is presently being debated in the National Assembly of Quebec. Frederic Bachand, Superior Court Justice of Quebec granted a 10-day provisional order asking the immigration minister to resume processing appeals below the present Quebec immigration rules. Quebec is mired in dispute as higher than 45,000 people including applicants and their dependents, who appealed below the Quebec Skilled Worker Program, expect to process their pending appeals. The court told with specific attention that there was no legal right for the Immigration Minister to start applying the new law, by refusing the applications processing not yet decided by Aug 2, 2018, as section 20 will support. It also refused the Minister’s position demanding it and retained the capability to execute the outcome of this new law, from the general powers it holds to achieve policies of immigration that are appropriate and efficient. Data presented suggest that MIDI will doubtful announce more than 1000 permissions from the pending applications pool for the balance of 2019. Several appeals in the backlog have outdated documents, or do not satisfy further stringent reforms put into place in Aug 2018. Applicants who are presently working or studying in Quebec will be invited to appeal below the Quebec Experience Program. Applicants who satisfy such rules will be given preference processing and will not be directed to Bill 9. The huge majority of the 18,000 backlog applicants who are Quebec outside, will not get any support from the recent judgment. Once the law finally comes into force, most candidates who have not announced approvals by that date will find their applications rejected under Bill 9.